I was ready with the usual tomato sauce and toppings when I went to the kids to ask what they wanted on their pizzas. In unison, I got a shrill answer. I told them that I will make the Nutella pizza but it doesn't count for dinner. Tomatoes on? White? Tuna? Mozzarella? I sighed. Kids and Nutella. Nutella and kids. And oh, husband too. I've been throwing too many empty jars of Nutella lately. My 2-1/2 year-old daughter who has seriously fallen for this hazelnut spread, cannot distinguish anymore between snack food and real meal. I've been meaning to hide the jar for a while to have a break but this Nutella pizza was just too much in their thoughts after my husband and I were discussing about it over dinner once. He used to love it when he was a kid. They were taken to picnics, served at kiddie parties, or eaten after a salty pizza. The pizzas (usually rectangular plain white ones at the pizza al taglio) are sliced in the middle and spread with Nutella, like a sandwich (like these). They are perfect actually for the little hands not to get so dirty. He never had an open-faced Nutella pizza before but after I showed him some pictures of Nutella pizzas served in the Italian pizzerie, he reluctantly agreed. Besides, with an open-faced pizza, you can see all the glory of the Nutella staring at you which I was sure the kids would go crazy about. I made two versions. 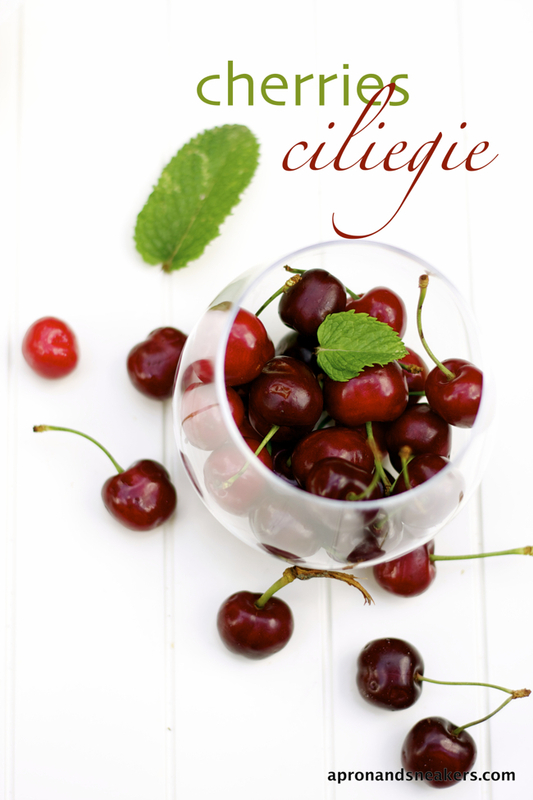 One plain and another one with fresh cherries. There, I found a place for the cherries I recently bought. You should have seen the faces of the two kids when they saw them. Big round eyes and a lot of little shrieks of excitement. Bend the rules sometimes and you witness something precious. Kids will not remain kids for long so it's nice to see them in such an ecstatic state. 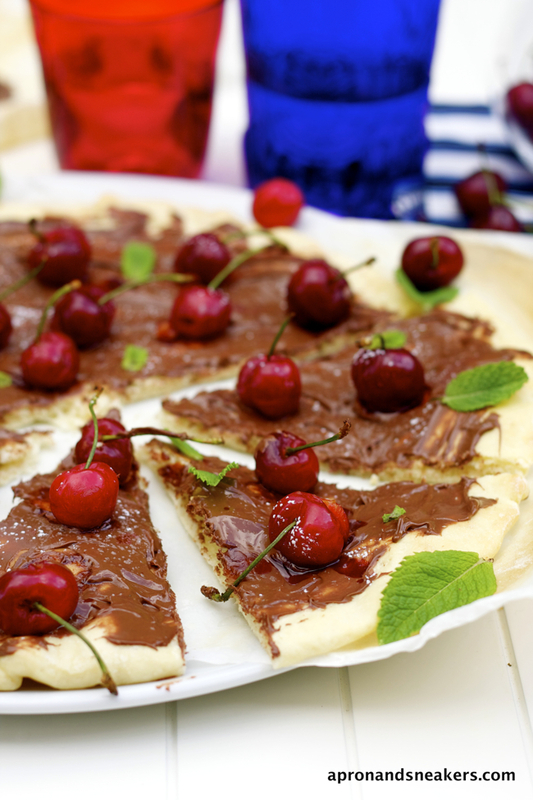 I ate some too and I thought that the slight tartness of the cherries cut the sharp sweetness of the Nutella. The mint added a touch that I liked but the rest of the family didn't. It's green and fresh after all. 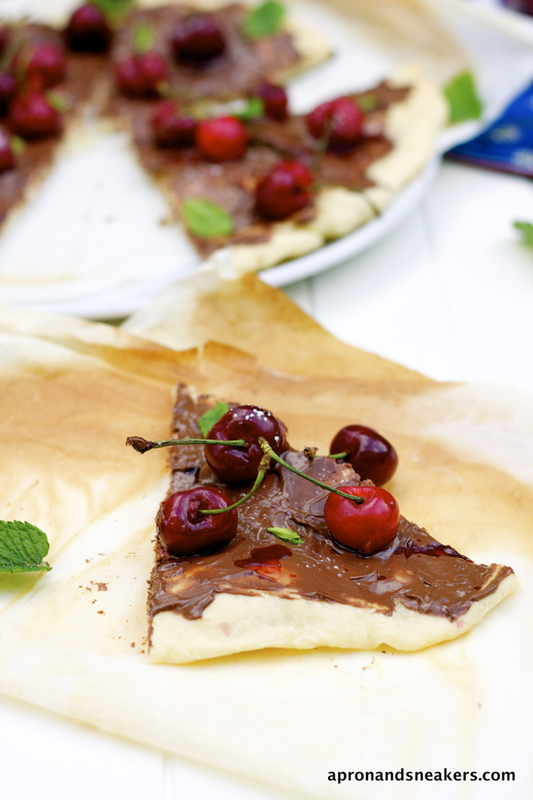 Prepare it plain with just Nutella or add some fruits on top like cherries, strawberries or raspberries. 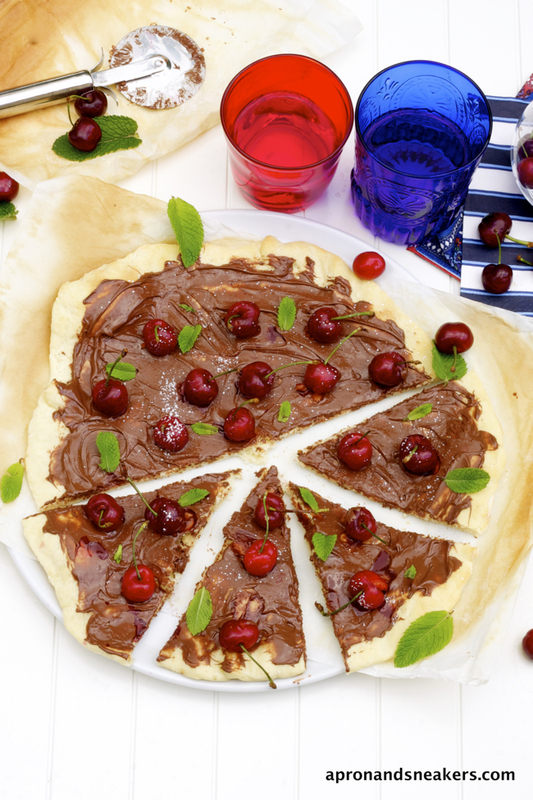 A sweet pizza for a snack is a wonderful idea. Kids love it. Ooopps. And adults too! Please refer to my old post about making the pizza dough. To make the pizza dough, please refer to my previous post about making them. 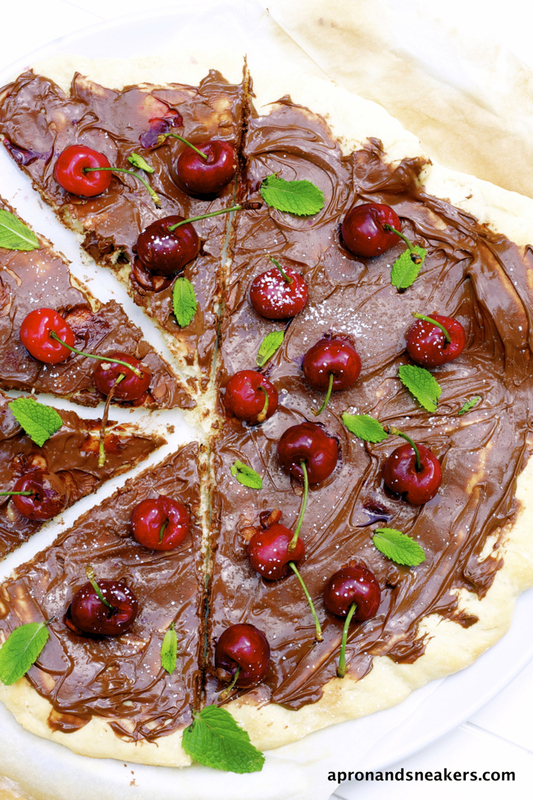 When the pizza is cooked, spread as much Nutella as you want on the pizza then place the pitted cherries (I pitted the cherries but kept the stems on) & fresh small mint leaves.